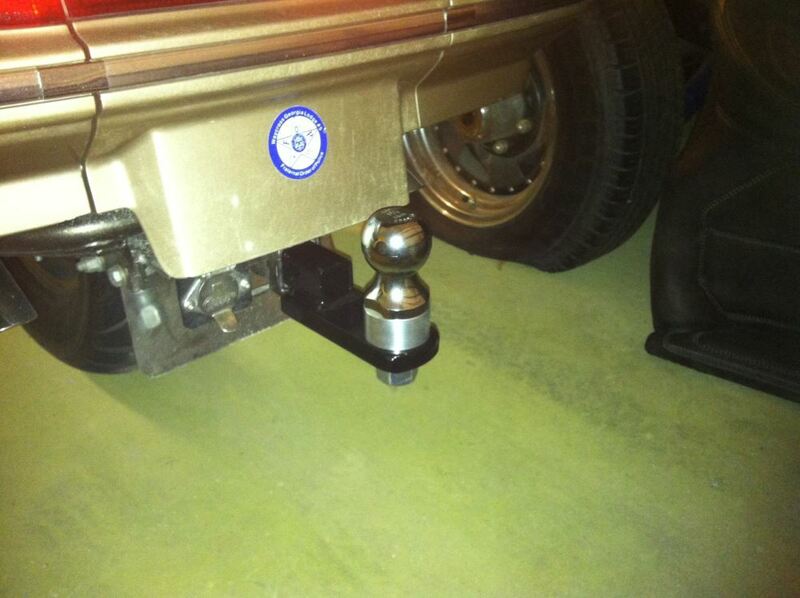 Corrosion-resistant ball mount is 6-3/4" long and fits 1-1/4" x 1-1/4" trailer hitch receivers. Call 800-298-8924 to order Curt ball mounts part number C45018 or order online at etrailer.com. Free expert support on all Curt products. 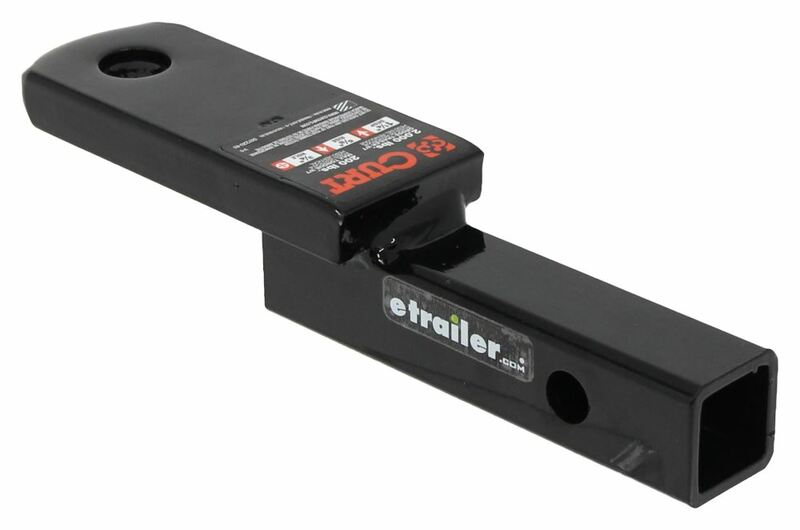 Guaranteed Lowest Price and Fastest Shipping for Curt Class I Drawbar - 5/8" Rise, 1-1/4" Drop - 6-3/4" Long - 2,000 lbs. Ball Mounts reviews from real customers. 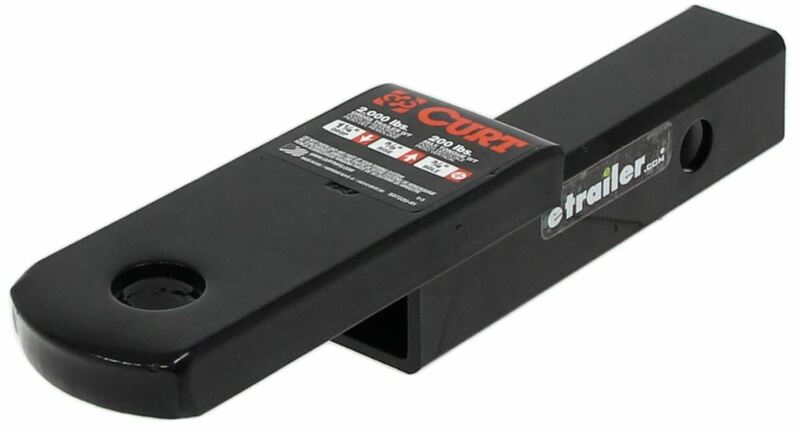 Today were going to take a look at the Curt Class 1 Drawbar, part number C45018. 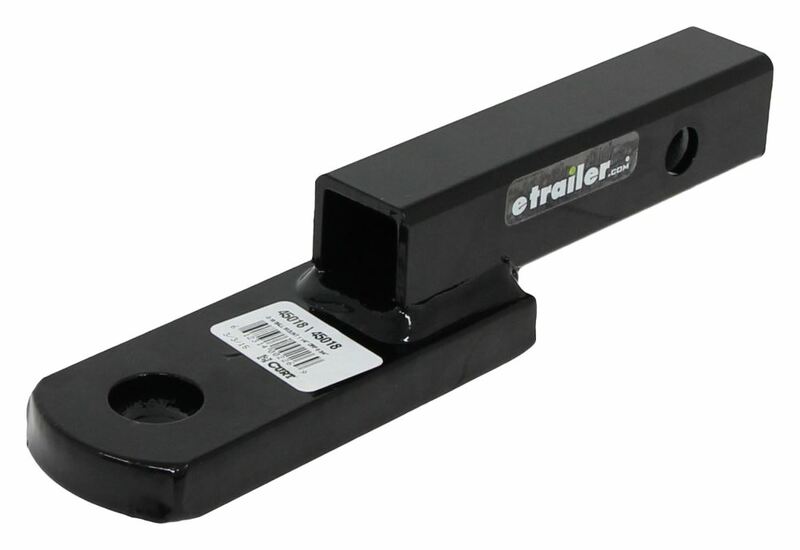 This drawbar comes with a sturdy steel construction. It is corrosion resistant thanks to its black gloss powder coat finish. It fits a 1 -inch trailer hitch receiver. It has a rise and a drop. The pin and clip do not come with this item; however, you can purchase those right here at etrailer.com, part number pc2. The way this would work you would slide that right into your hitch receiver and then put the pin in there like so, clip that off and youre all set. Taking a look at some of the dimensions and specs for this item; this ball mount has a gross towing weight capacity of 2,000 pounds, a tongue weight capacity of 200 pounds. The ball hole diameter right here is of an inch. It features a rise from the top of the shank to the top of the ball platform of 5/8 of an inch. Again, from top to top, it has a drop of 1 inches, and the length from the center of the hitch pin hole to the center of the ball hole is 6 of an inch. That should do it for our Curt Class 1 Drawbar, part number C45018. Order: RelevanceNewestRating - High to LowRating - Low to High Corrosion-resistant ball mount is 6-3/4" long and fits 1-1/4" x 1-1/4" trailer hitch receivers. Thanks for the email. Everything we purchased from etrailer.com has been great! No complaints. Were quite happy and use your products weekly. Thanks and have a great summer! Product is working fine and holding up well. The Curt Class I Ball Mount, part # C45018, is made for use with 1-1/4-inch hitch receivers and is rated for up to 200-lbs tongue weight (TW) and a gross towing weight (GTW) of 2000 lbs. This ball mount does not include a hitch ball or a hitch pin/clip. You can use hitch pin and clip # F-4. For a hitch ball you can use a medium-shank type, either Curt # A-80 if you need a 1-7/8 diameter ball, or # A-82 if your trailer requires a 2-inch ball.